How to Know if it’s Truly Non-Toxic? When buying a mattress, it’s vital to choose an organic mattress that is made only with non-toxic materials. You may assume that if it’s an organic mattress it must also be non-toxic, but that’s not always the case. 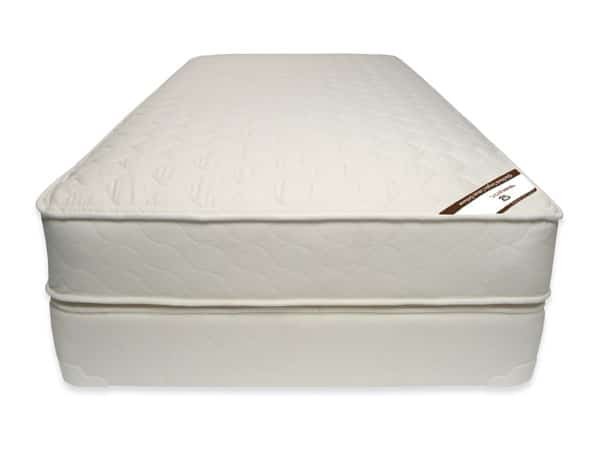 Organic mattresses can contain fire retardant chemicals and other unsafe materials. It’s important to avoid spending a lot of money on a mattress that is called “organic” without learning about the toxicity of materials involved. What’s in a typical mattress? Most mattresses are made with polyurethane foam as the filling material. It is made from petroleum and is highly flammable. It contains chemical additives and flame retardants. Foam breaks down over time into small particles, which can become airborne. 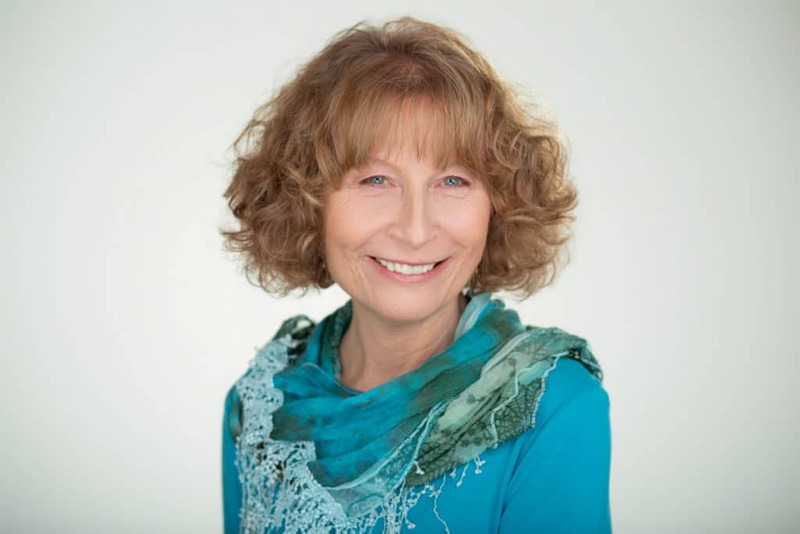 Possible health effects can include cardiac arrhythmias, breathlessness, chest discomfort, irritation of mucous membranes, coughing, asthma-like reactions, blurred vision, headaches, dizziness, weakness, and fatigue. Memory foam can even be worse since it contains even more potentially harmful chemicals. Toluene diisocyanate and methylene diphenyl diisocynate are isocyanates used as primary building blocks of foam and mixed with water and polyols. Toluene is a known carcinogen and exposure to isocyanates can irritate mucous membranes and cause asthma, respiratory disease, skin inflammation, and chemical sensitivity. Since polyurethane foam is highly flammable, mattress manufacturers are required by law to pass flame resistant tests. These tests are passed by using chemical fire retardants or barriers. Mattress surfaces or coverings are typically made with synthetic materials that can also add to the chemical mix. 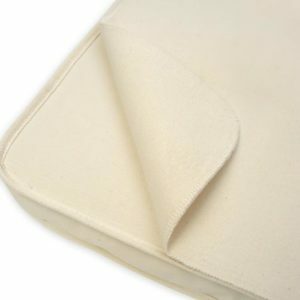 What are the best organic mattress materials? 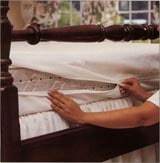 Organic mattresses can contain organic cotton, latex or wool as the filling materials. These are all great natural materials, but there are some factors to consider when looking for an organic mattress that is truly non-toxic. An organic mattress with cotton filling is a good choice. Cotton is a breathable and firm mattress material, but make sure the cotton is 100% certified organic. Cotton is a crop that is grown with a lot of pesticides and these chemical residues can remain in the cotton. So for health and environmental reasons, it’s important to find an organic mattress that contains cotton that is certified organic. Natural latex can be safe, depending on how it’s manufactured. However, many manufacturers use a blend of latex and chemicals and still call it natural latex. Natural latex can be allergenic (the FDA won’t allow a latex product to be called hypoallergenic). Wool is used in many organic mattresses and is a great bedding material. Try to find certified organic wool. How can you tell if a mattress is truly organic and non-toxic? Find a mattress manufacturer that is Global Organic Textile Standard (GOTS) certified. GOTS is the recognized organic textile processing standard for mattresses. A GOTS certification means that the mattress meets stringent organic and non-toxic standards. Beware of labels saying the mattress is green, eco-friendly, bio foam, or soy foam. Most of these mattress manufacturers simply replace a small portion of polyurethane foam with plant-based components. Therefore the mattresses remain predominantly polyurethane foam. It is illegal for mattress manufacturers or retailers to sell a mattress in the U.S. unless it passes flame retardant standards. Organic mattress manufacturers are not exempt from these requirements. 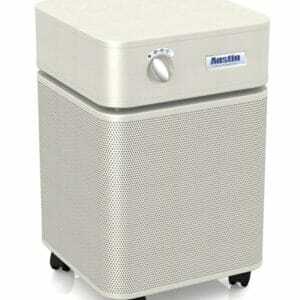 They may add fire retardant chemicals such as PBDEs, boric acid, or other chemicals and barriers that may be toxic. It’s important to thoroughly check into what is used to pass the fire standards. You can find an organic mattress with natural, non-toxic and safe alternatives to chemical fire retardants that will pass the standards. Pure wool has natural fire retardant properties. If you find a mattress manufacturer that uses wool, make sure that the wool is organic and there are no additional chemical treatments to boost its fire resistance. PLA fiber is a safe, non-toxic material that will allow a mattress to pass fire standards. Make sure the PLA fiber is made from non-GMO plants. Fortunately, you can find organic mattresses that are non-toxic and chemical-free. You simply have to know what to look for and what to avoid. 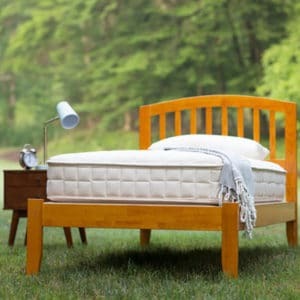 An organic mattress is a good investment in your health as long as you find one with truly safe, non-toxic materials. At Healthy Child we’ve done extensive research into mattress materials and have chosen the mattresses that we know for certain are safe and non-toxic.